Termites are causing billions of dollars in structural damages every year all around the world. They are the most destructive types of pest that can infest any house. Since, cellulose the basic unit of wooden object, is termites’ favourite food, every timber fixture in the house can become their feast. Termites can destroy floorings, walls, furniture. Even document papers and books are not safe from the wrath of termites once they have infested your house. Thus it is very important to get rid of these dangerous domestic pests. There are different methods used to deal with termite infestation such as termite baiting, trapping and termite spraying. Among all of them, termite spraying is considered one of the most effective treatment options. Let’s see what termite spraying entails. 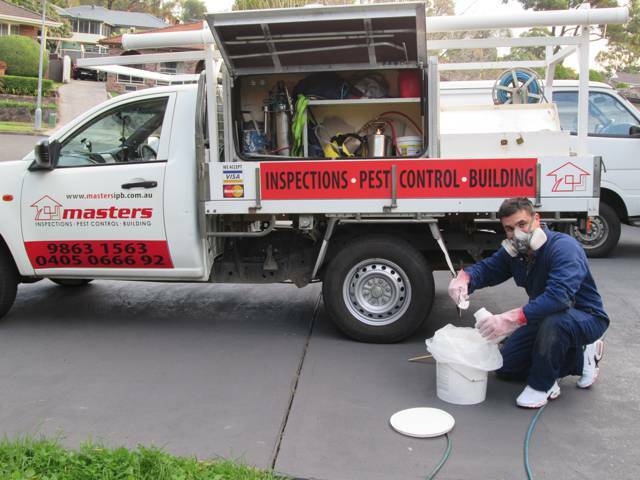 We provide termite spraying treatments to help you get rid of termite infestations. There is a wide range of liquid treatment products that are used in termite spraying. It is advised to ask for the services of professional pest control services because they know how to use all the different liquids in various conditions. It is relatively a low odour liquid option for termite spraying. It is used effectively in moderate termite infestations. Permethrin contaminates the soil for a shorter time period. Another variant of permethrin is high in toxicity and highly effective against subterranean termites. Bifenthin is a low cost termite treatment, and has been used for years in termite spraying. This chemical compound is one of the most popular products for termite spraying in Australia. It is considered very effective against different types of termite infestation and many professional pest control companies use it in their termite treatments. If you have environmental concerns and want to have termite treatment with sprays that are eco-friendly, then you can insist on the use of Chlorantraniliprole from your pest control service provider. Even though this chemical is less effective than traditional strong chemicals, but using it in termite spraying ensures better environment. This liquid termiticide is extracted from tobacco leaves. It is also widely used for termite treatments since it kills a large amount of termites in the same infestation site. Mass killing of termites repels other termites as well. This chemical is used for spot termite spraying and used in small quantities as compared to other chemical options. It is also effective because it is imperceptible by termites. Why Termite Spraying is an Effective Treatment Method? There are several reasons that give edge to termite spraying over other treatment techniques. It is not necessary that termites get stumbled on a trap or bait. They can affect your house badly with their cellulose feeding quest even in the presence of termite baits. Termite spraying on the other hand is applied direct to the infested place to kill and repel the destructive pest. In severe cases of termite infestation, large amount of liquid is used in termite spraying by pest control professionals. However, it is still considered an economical option compared to setting up a termite bait all around your property to treat the infestation. Dust termiticides can be effective for surface treatment. However, almost all types of termite species live beneath the surface and dust/powder options can’t infiltrate in those dark, damp environments. In contrast, liquid termite spraying can penetrate through wooden surfaces. It is also good to provide soil treatment to kill and repel subterranean termites. If you are facing the issue of termite treatment, then call for professional help to treat your house with termite spraying to get rid of all types of termites. Call us at (02) 8007 4666. We recommend that you hire termite control professionals to ensure your health and safety. Read about the dangers of spraying chemicals on your own.